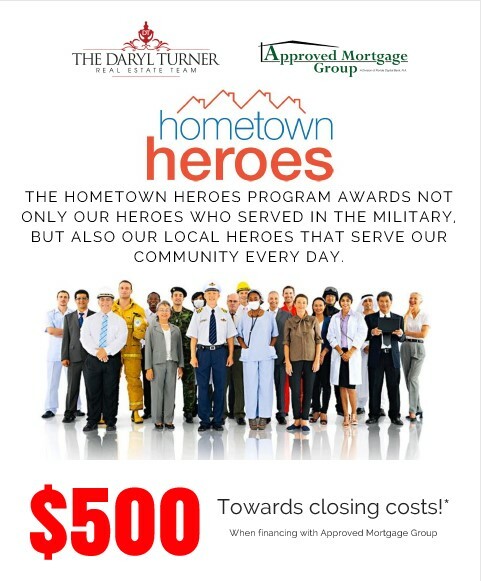 The Daryl Turner Real Estate Team would like to thank the heroes that serve our country and our community. This is why we are giving back to YOU, our every day heroes! This program includes people that served in the military, armed forces, nurses, doctors, EMS personnel, police officers, teachers, firefighters and so much more! To find out if you qualify for the program, please contact us. We look forward to serving you!